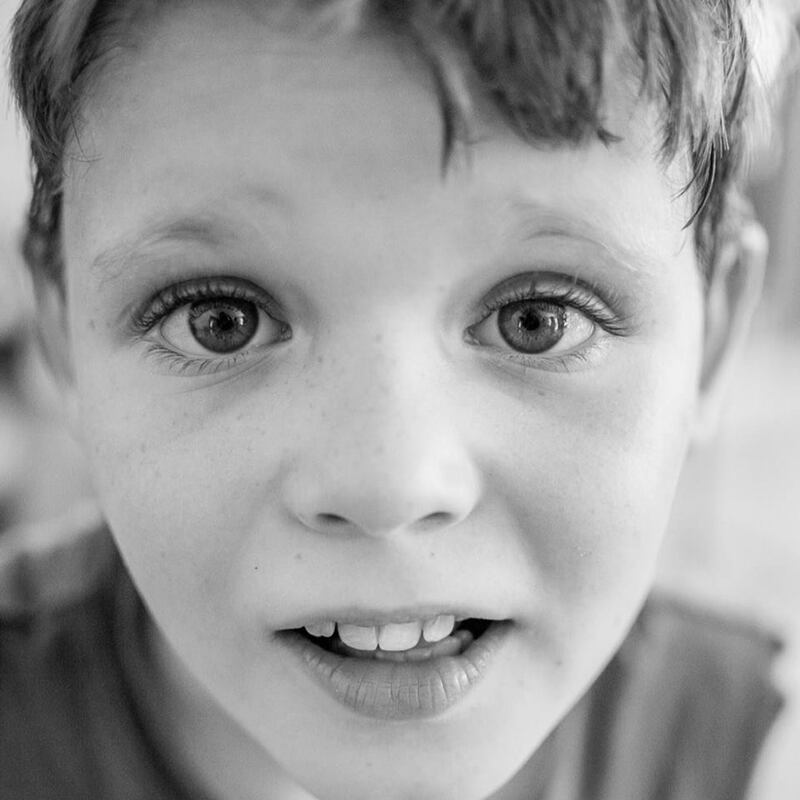 When Lisa Welch from Jimboomba, Queensland (Australia) was struggling with what to gift her son, for his upcoming 10th birthday, she was stumped. Her little boy Jorge has a disability. 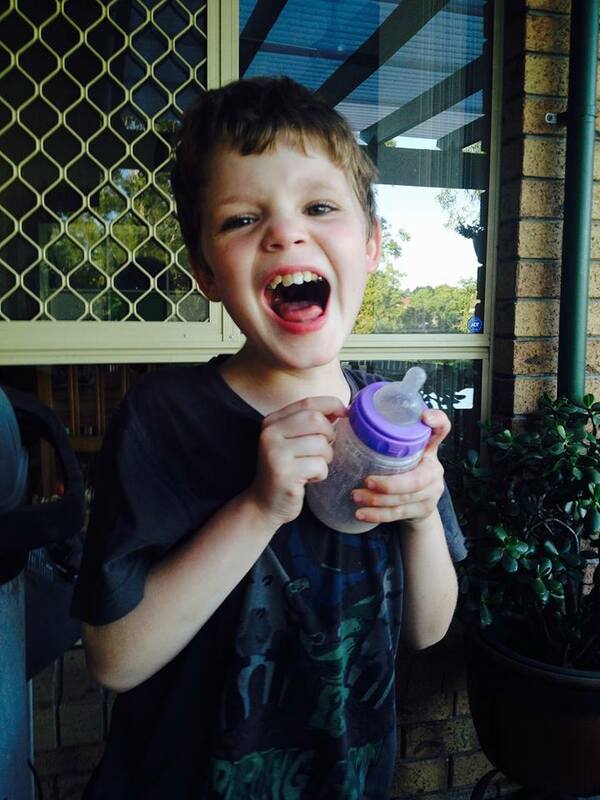 Born with Corticol Dysplasia, he is non-verbal and his brain functions at the capacity of an 18 month old child. Compounding this, Jorge also has severe Epilepsy suffering multiple seizures each day. Lisa had noticed that during the drive to school each weekday morning, Jorge almost jumped out of his seat with excitement every time they passed a big truck on the road. 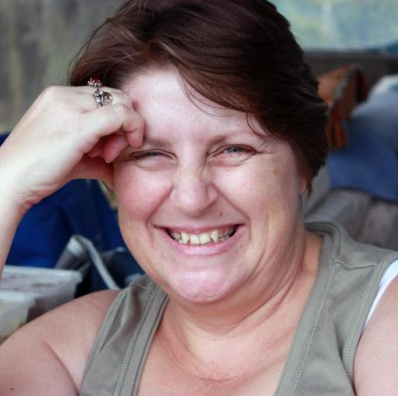 This was what gave her the idea to put a post on the local Scenic Rim Facebook Sell It page, asking for a person with a truck to visit their home for an hour and possibly take Jorge for a ride. Within minutes Melissa Whelan whose husband Tom drives a big rig was tagged. Melissa who happened to be online at the time, contacted Lisa and within half an hour, Jorge’s birthday surprise had been organised. The offers of trucks and time kept pouring in. It was at this point that Gavin Summerville (another truckie) stepped in and took over. What followed was nothing short of amazing. Outgrowing the thread on the Facebook page, a special page “Jimboomba Jorge” was set up to keep everyone informed of what was unfolding. The message of Jorge’s upcoming birthday surprise spread and enthusiasm and local community spirit grew. 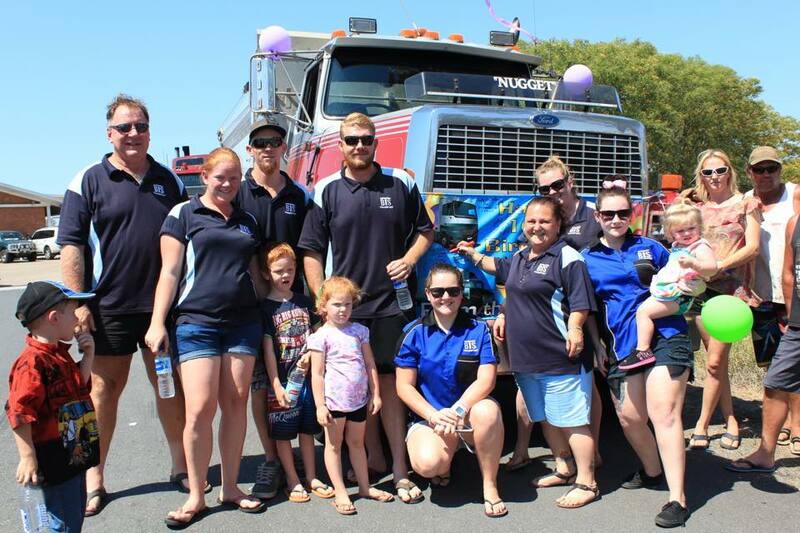 Within 5 days, Gavin had organised a convoy of 214 trucks with drivers coming from across the country to take part. 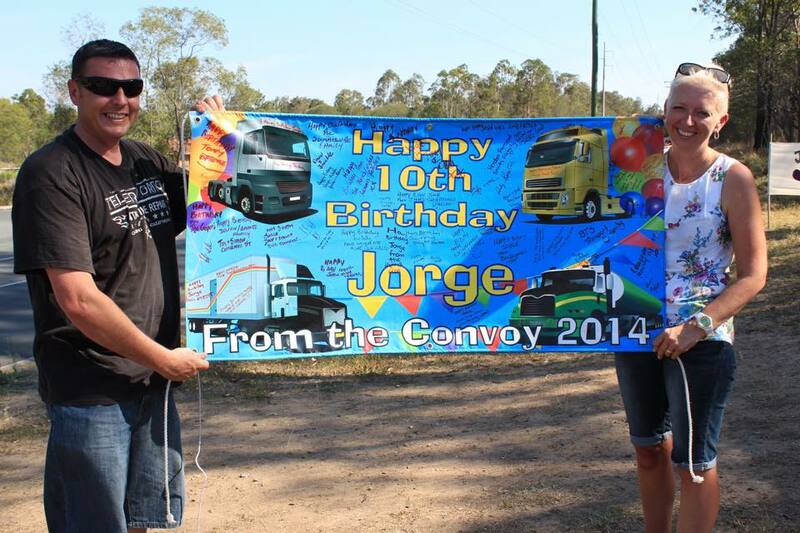 He spoke with radio stations 4BC and met up with River 94.9fm to talk about Jorge and discuss the upcoming convoy. Channel 9 Australia was contacted and they too made arrangements to be there on the day. 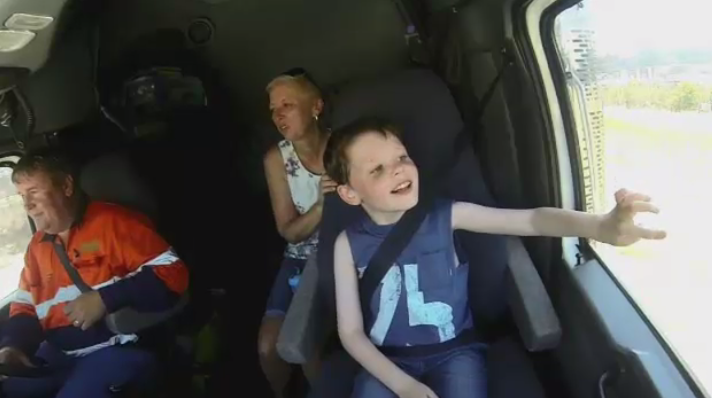 Donations of money, goods and birthday gifts began to roll in to Gavin. 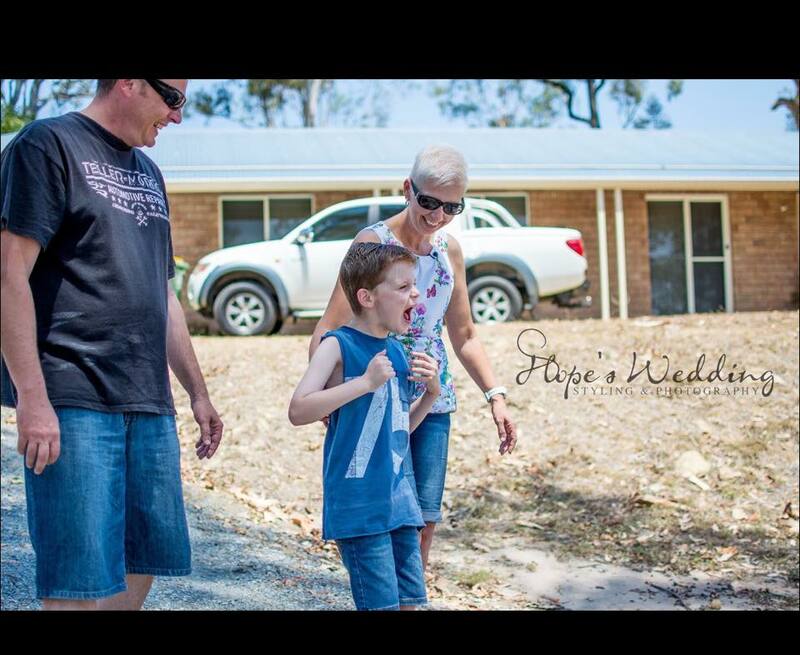 The Beaudesert Primary School had a Purple Day Jorge the day before the convoy and the students raised $317 for Jorge and local photographer Laara Dean donated her time to take photos of Jorge and his family on the day. Saturday the 15th December dawned bright and sunny. The predicted temperature for the day was to reach 40°c (104°F) and it exceeded that long before the scheduled start time of 2pm. 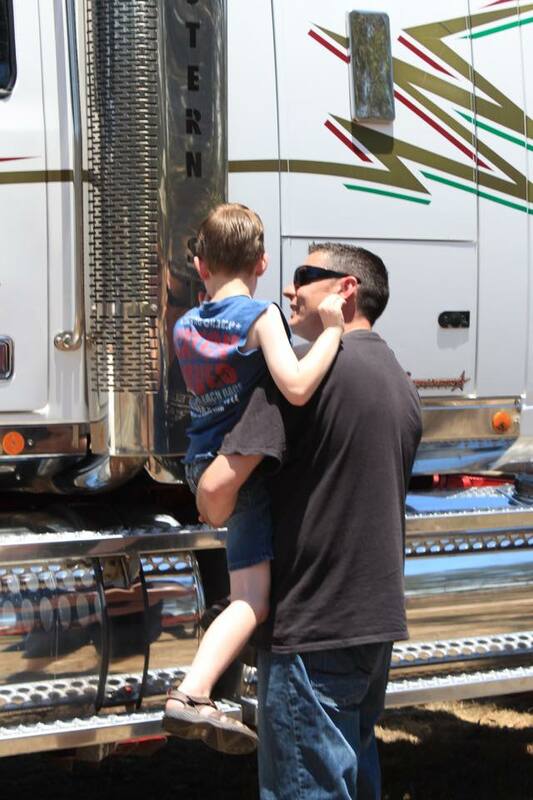 Melissa and Tom Whelan had kept their appointment with Jorge and his family earlier and a clearly emotional Melissa was touched by his response to seeing their rig pull into their driveway. 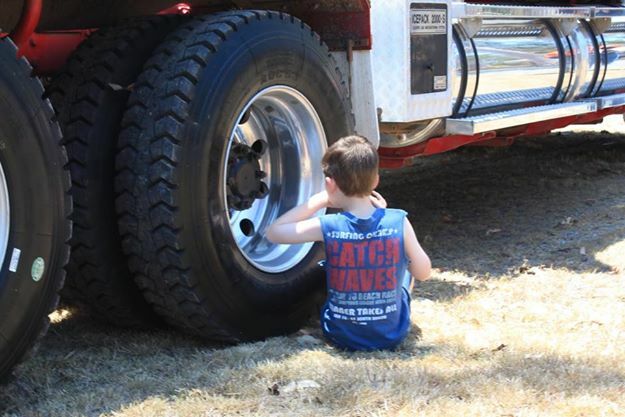 Photos and video show a little boy beaming from ear to ear before walking around and touching parts of the truck. The Channel 9 Today show placed a camera on the dash that captured Jorge’s obvious pleasure during the drive. 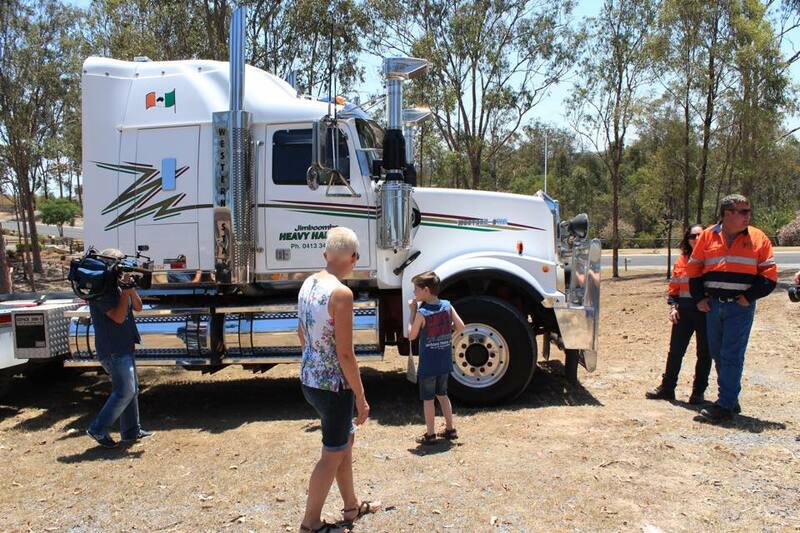 The heat did not stop the turnout of truckers and excited onlookers as rigs (big and small) began rolling in and parking at the meeting point at the Jimboomba Shell service station and the vacant lot across the road. As the Shell owners kept people hydrated with free bottles of iced water, frozen cokes or coffee (for those who preferred a hot drink), Gavin was kept busy with media interviews and other tasks. 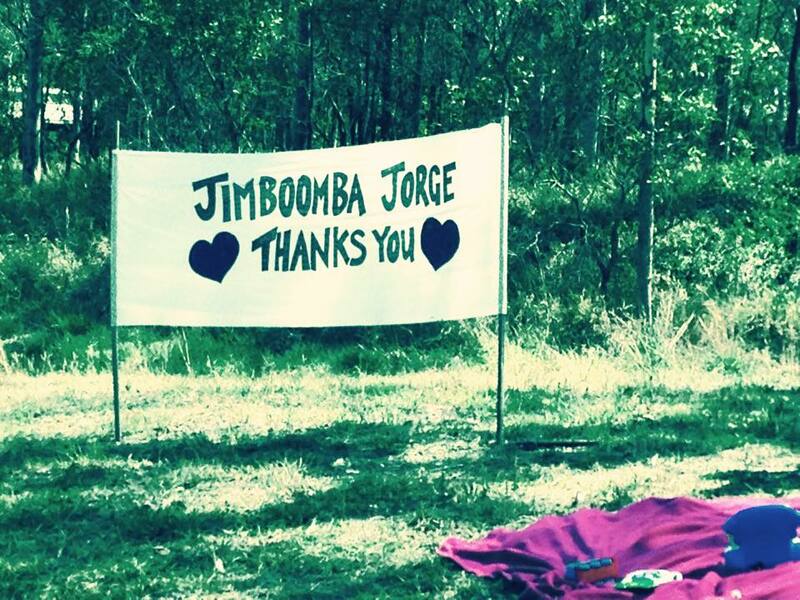 At 2pm, led by the local emergency services, sirens blaring and lights flashing, the convoy left the service station and drove through the town of Jimboomba past waving and cheering crowds before turning up the road where Jorge and his family were watching and waiting. Air horns blasting the whole way, the truckies were on the move. TV cameras captured the first moment that Jorge spotted the trucks coming up the road. 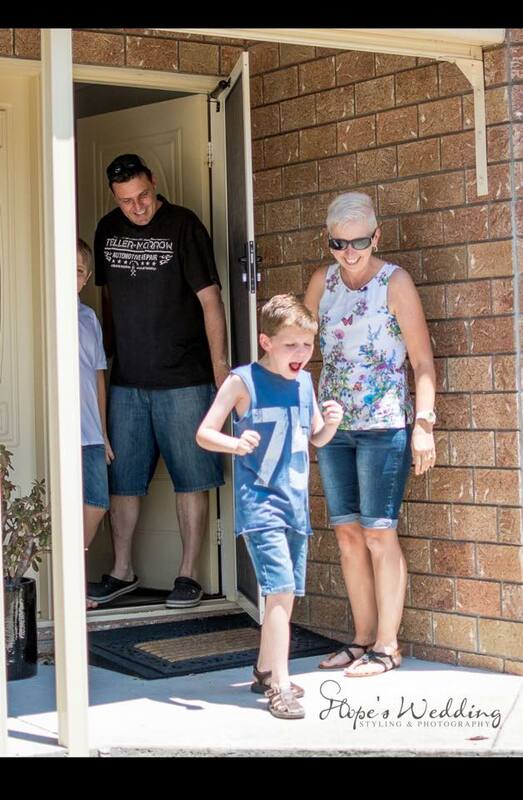 The community raised a total of $1700 toward Jorge’s ongoing medical costs and among the birthday presents for this special little boy was the donation of a tablet from the local Telstra shop. Lisa is excited that this can be used to aid Jorge with his communication. Yesterday was Lisa’s birthday, so the last word goes to her. “I woke up this morning asking myself what I could possibly want for myself today. The answer was: nothing. Absolutely nothing. This time last week was very different. Last week I wanted someone, anyone or (ridiculously) even everyone to acknowledge our plight. I wanted people to know how hard it is to raise a child with special needs. How constantly advocating for a child like Jorge is exhausting. How you feel like you’re always missing out, always absent, always tired, always scared, always feeling like you’re forgotten….but mostly always feeling as though you’re alone. You belong to a very exclusive club that no one wants to be a member of. You know it. Everyone around you knows. Yet we all pretend it’s not real. What happened to Jorge, happened to our whole family in all honesty. I hate to admit it but a week ago I would have described myself as a cynic. I was rapidly losing faith in humanity. The wall I had built up around myself to protect myself from the vulnerability I was feeling was getting far too thick to be healthy. I knew it. But I ignored it. I posted the ad for a truck for Jorge despite my cynicism, and I thank my lucky stars I did. It was the best thing I have ever done! ………. …………………. I will never be the same. I am a better version of myself because of you all. I am and will always be forever in your debt. My family loves you for what you have done. Sue Jones, who blogs at It Goes on, is also know as Suzanne, Suz, Sue, Suzy Q or Peggy Sue depending on who is addressing her. She is a woman in her late 40′s with 2 adult children and one tween. She shares her home with the man of her dreams (a.k.a. The Garden Gnome), the Tween, HRH Princess Smudge (the cat), Mr Magoo (the goldfish), her canary (Madiba) and an aviary full of budgerigars and two bottom-dwelling quails. These all have names but only the Tween is able to remember them all. They share their garden with wildlife and birds. The world is full of beautiful people! That so many showed up for Jorge is beyond fantabulous! It was truly amazing to see and experience. I think that sometimes we become cynical so it is wonderful to see the kindness of others. I was so thrilled to watch this all unfold on Facebook and it was me who tagged Melissa. Speaking later with Melissa, she was overwhelmed by the experience. What a thrill! Thanks, blessings, and appreciation. Hi there, photo credit needs to be mentioned in this article. Hope’s wedding styling and photography. Although I wrote the piece I did not provide the photos and am unable to edit on this site as it is owned by another person. I will contact the owner of The Kindness Blog and pass on your request. I am so pleased that Jorge got a ride and a convoy. It is difficult to organize truckers to all be in one place as they often have very tight schedules that preclude such activities. It was wonderful that so many got to participate. I hope that Jorge’s year continues to be great. What a wonderfully uplifting thing those truckers did. I hope the memory stays in Jorge’s mind for a long time. This was an incredible day, surrounded by an incredible community. Such love and respect. It was an honour to spend the day with the family photographing their emotion and reaction to this beautiful communities outpouring of love and joy. Please ensure that you follow appropriate copyright rules and credit Hope’s Wedding styling and photography as 99% of the images used above have been provided by us.